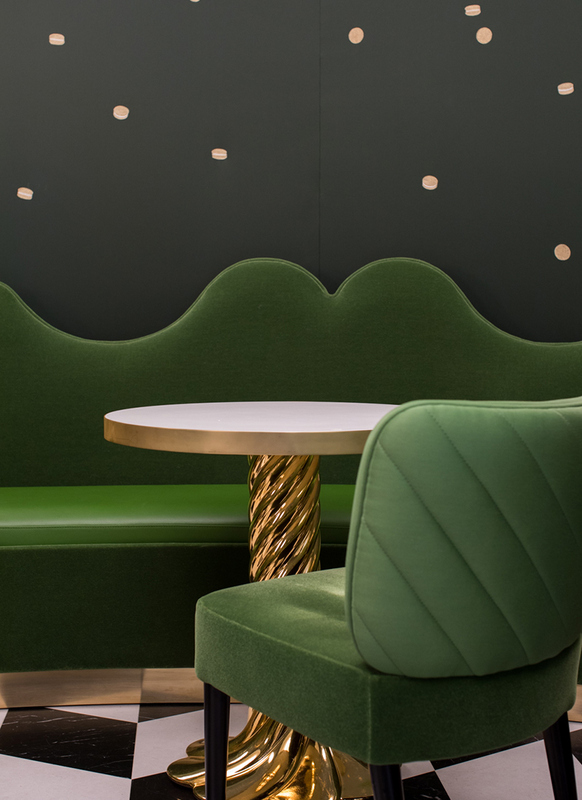 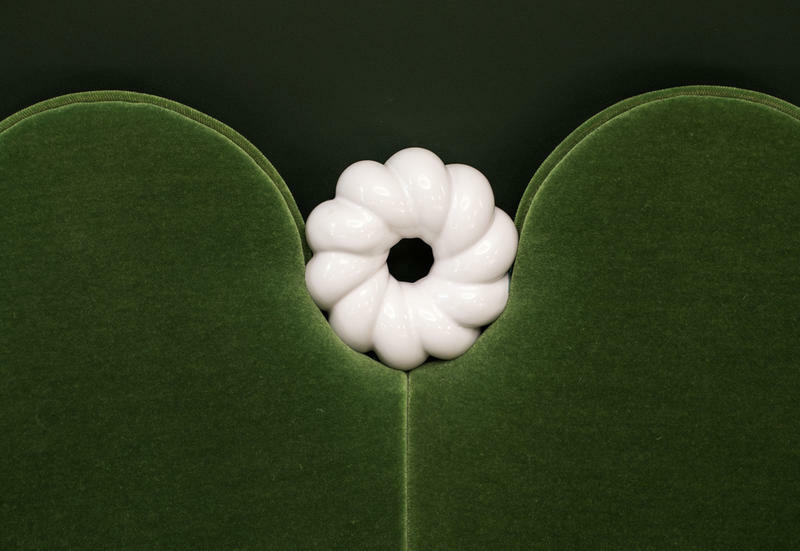 The Parisian pastry shop Ladurée, famous for its macarrons, is opening stores all over the world and it is doing it hand by hand with designer India Mahdavi. 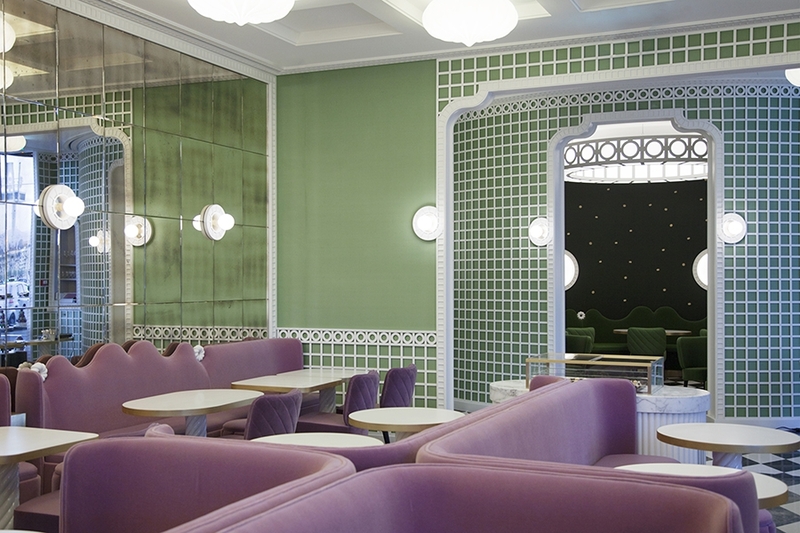 India defines its new shop in Geneva as a “garden of delights” which has a confectionery, restaurant and lounge. 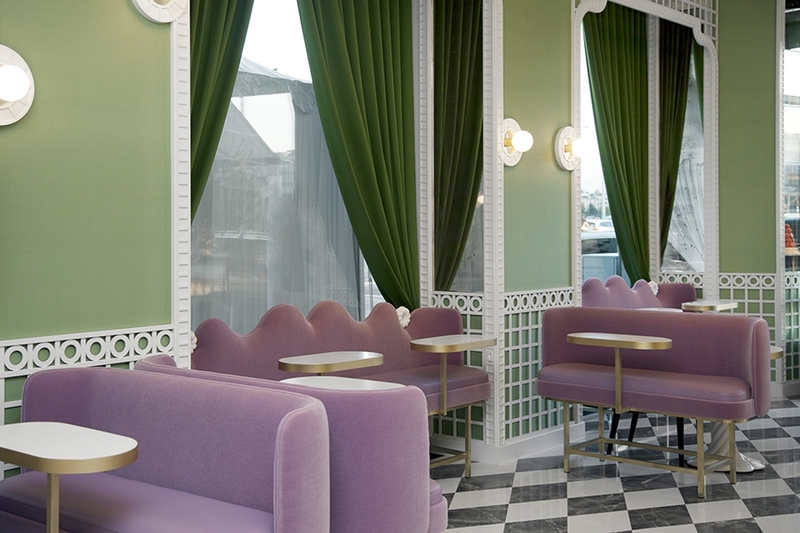 It has managed to create a very sweet environment thanks to pastel colors, velvets and curved shapes.